The Legend of Zelda is just that: legendary. Since the original game came out for the Nintendo Entertainment System in 1987, the series has grown by leaps and bounds. Sequels have been released for nearly every system Nintendo has launched and millions of copies have been sold. More importantly, millions of lives have been changed as a result of this iconic franchise. 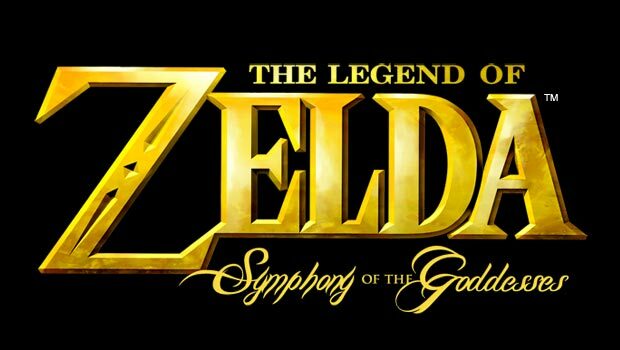 Nintendo is well aware of the love fans have for the series, and to celebrate its 25th anniversary, a full symphony orchestra is traveling the world to bring the music to the fans; it’s called The Legend of Zelda – Symphony of the Goddesses. A fan playing her ocarina for onlookers prior to the show. This four movement symphony, a first for a video game-themed concert, just took place in Philadelphia, at the Mann Center for the Performing Arts, and I was in attendance. It was a fantastic performance, conducted by Eímear Noone, that vividly brought to life the memorable music created by Nintendo composer and sound director Koji Kondo. The music was performed beautifully by the Pittsburgh Symphony Orchestra and also featured the Philadelphia Singers Chorale. Similar to Video Games Live, which I’ve also seen and highly recommend, the music was accompanied by dazzling video packages. This cinematic video presentation synced gameplay from various games in the franchise to the live music. 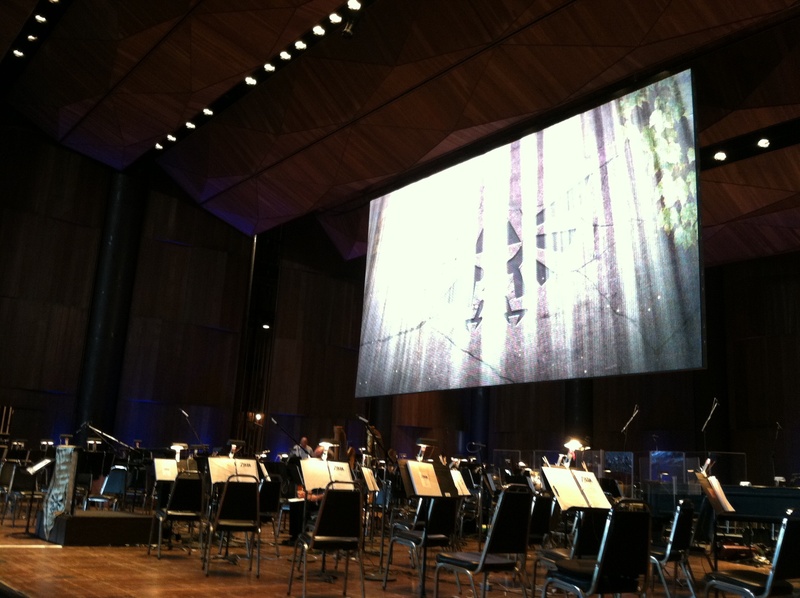 For example, if a song from the end of a particular Zelda game was being played by the orchestra, then footage of that scene also appeared on the large screen above the stage. It made for a nostalgic experience that pleased the senses. While there was an intermission, the concert clocked in at nearly three hours and it featured three encores. Needless to say, it was an excellent performance, and I’m very glad I attended. As of right now, additional performances are scheduled through the end of the year. If one is in your area, I highly recommend you check it out. You won’t be disappointed. Just a couple of weeks ago I was lucky enough to see the show when it came to San Diego. Ours was outdoors and I think it would have been better done inside (we had trains and helicopters passing by) but it was still completely epic. Projecting scenes from the games and having the whole thing synched with the music really made the show. With any luck they’ll have a CD with the music they did in the concert tour, or even better do the tour again in a few years! I think a CD is unlikely because they included one with Skyward Sword when it came out, but who knows. However, they did have a camera on stage to project the orchestra onto the big screen from time to time, so perhaps that footage could be used for a DVD/Blu-ray release. Releasing both a live album and a special edition DVD/Blu-ray set makes sense, but something tells me Nintendo hasn’t even thought of this. The company should have a conversation with Gene Simmons of KISS about merchandising opportunities; they’d learn a lot. Saw this in Phoenix and loved it. Thanks for your comment and like. I’m glad you had a great time in Phoenix. I’ve only read good reviews from anyone that’s attended any of the shows thus far. One can only hope other video game franchises will do something similar in the future. Performance is fabulous. Sadly you want us to support you and buy your merchandise but ran out of plus sized t-shirts. Sad fans here!